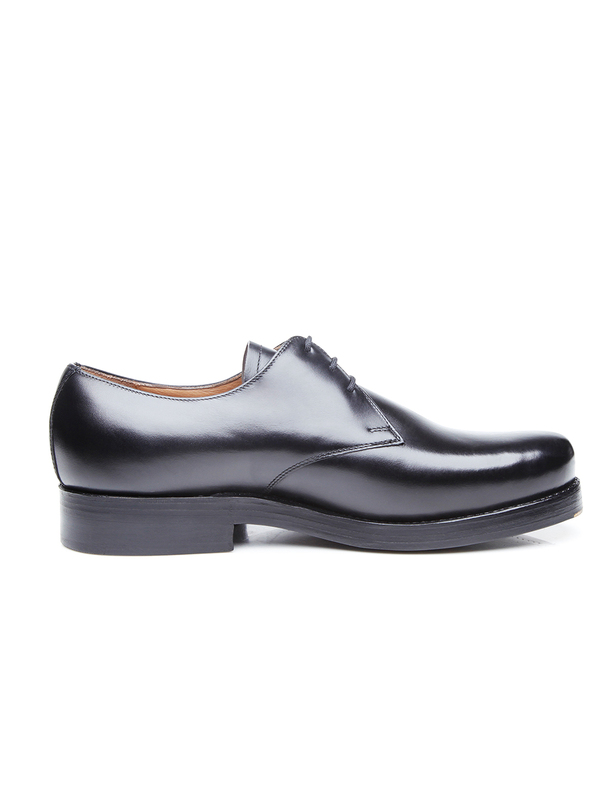 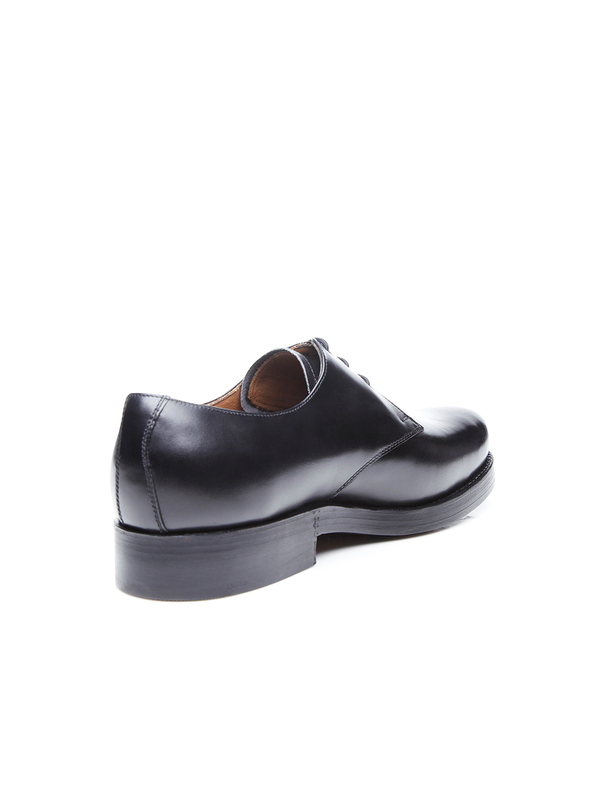 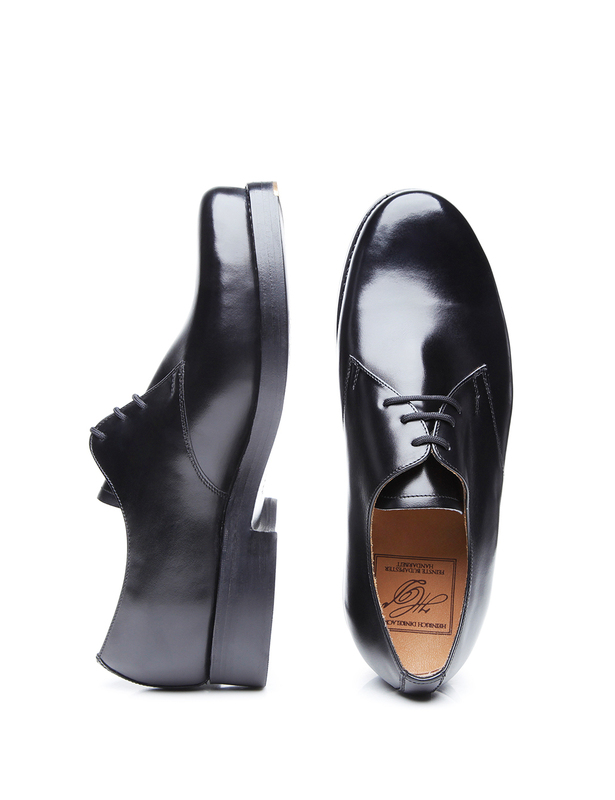 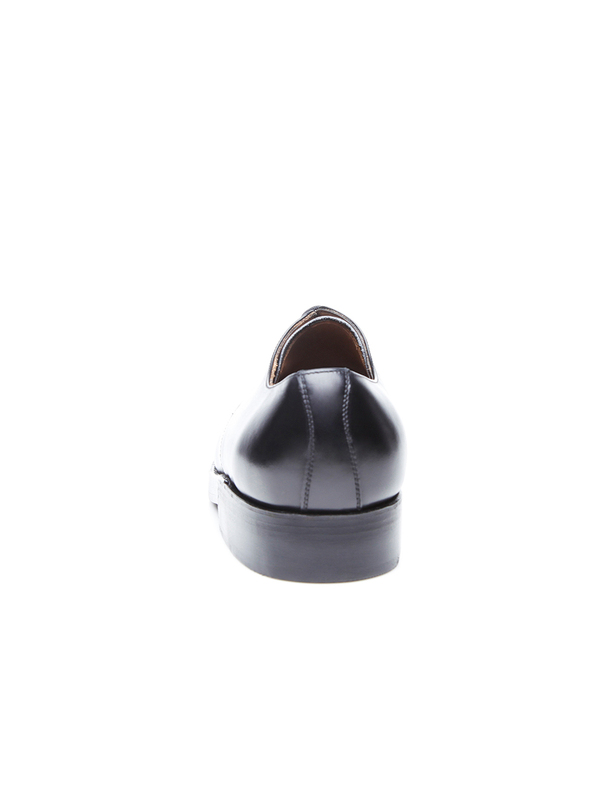 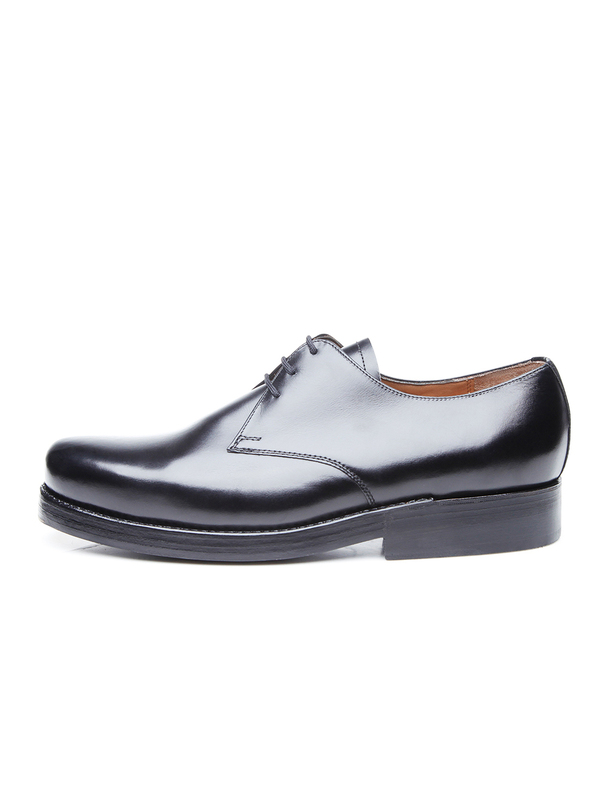 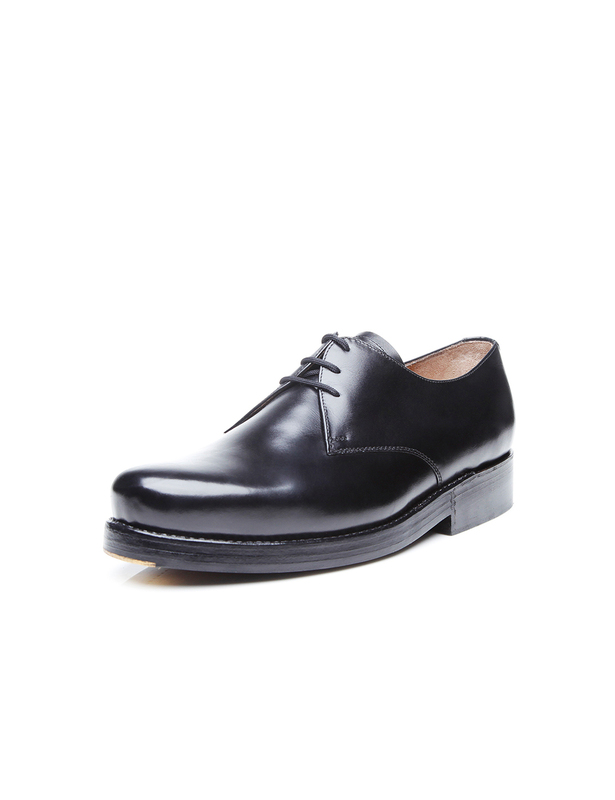 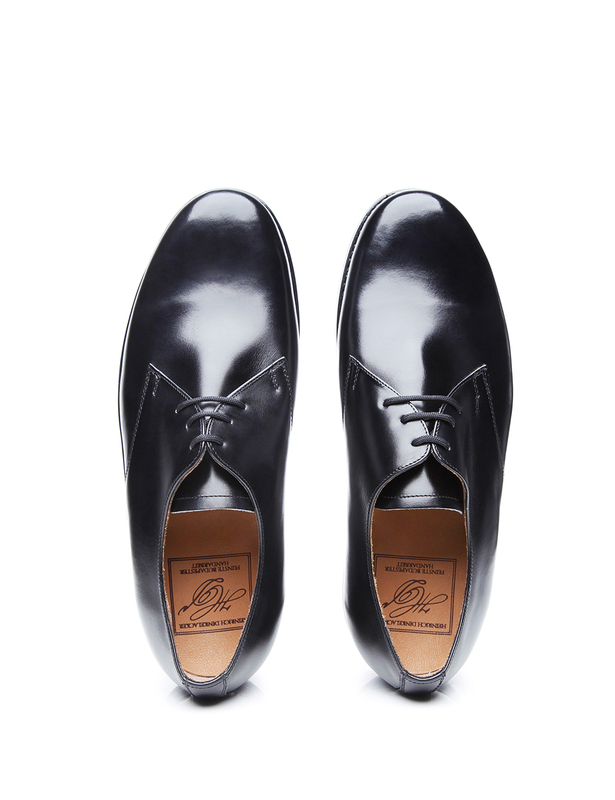 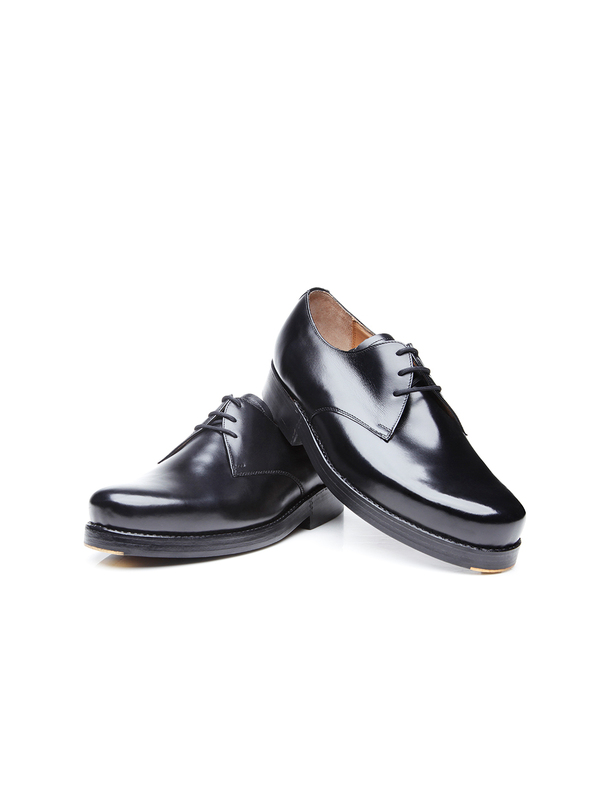 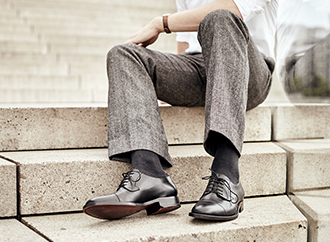 This sewn-welted, handcrafted plain Derby in black is classic and elegant. 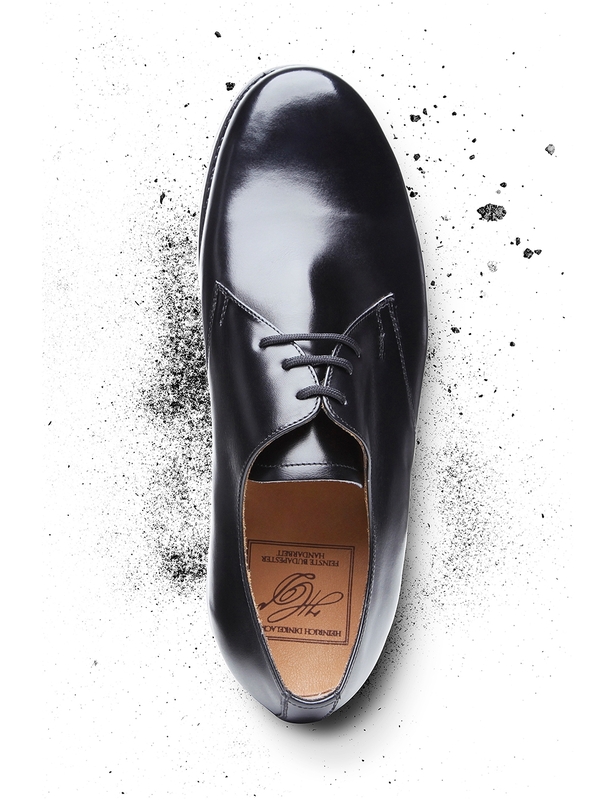 Created from the finest box calf leather, this traditional classic shoe promises to make a stylish impression at (almost) every occasion. 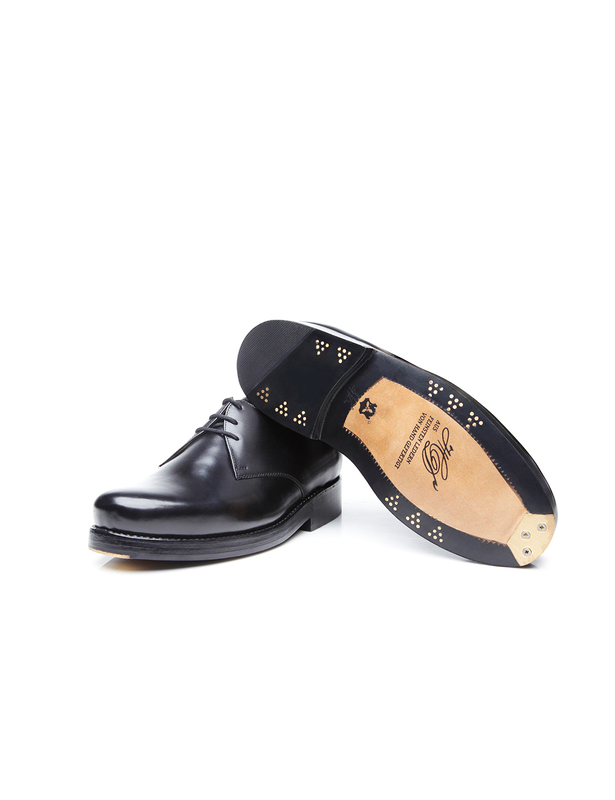 The open three-eyelet lacing, in addition to both curved quarters lying on top of the vamp, is typical for this originally British men’s shoe. 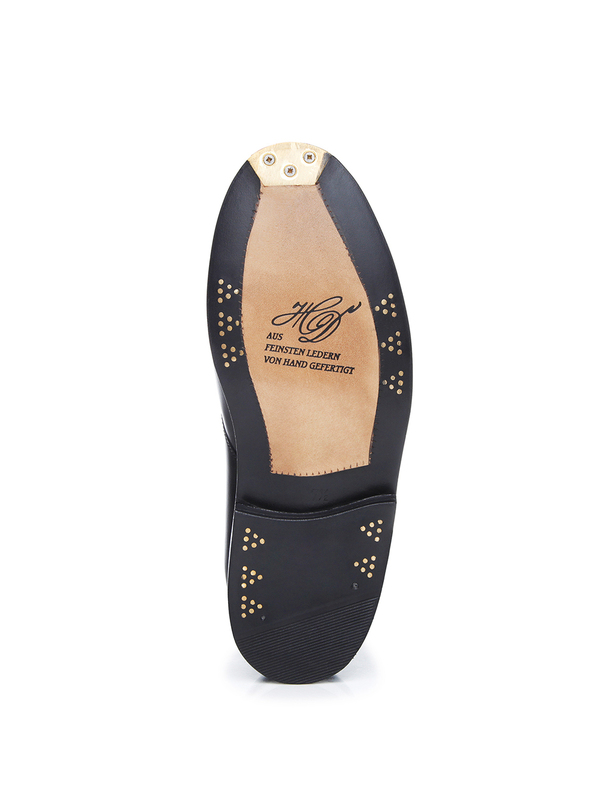 The classic Rio last and the sturdy triple outsole with six elaborate brass nails and fittings at the tip of the outsole underscore the exclusive character of this unadorned full-leather shoe. 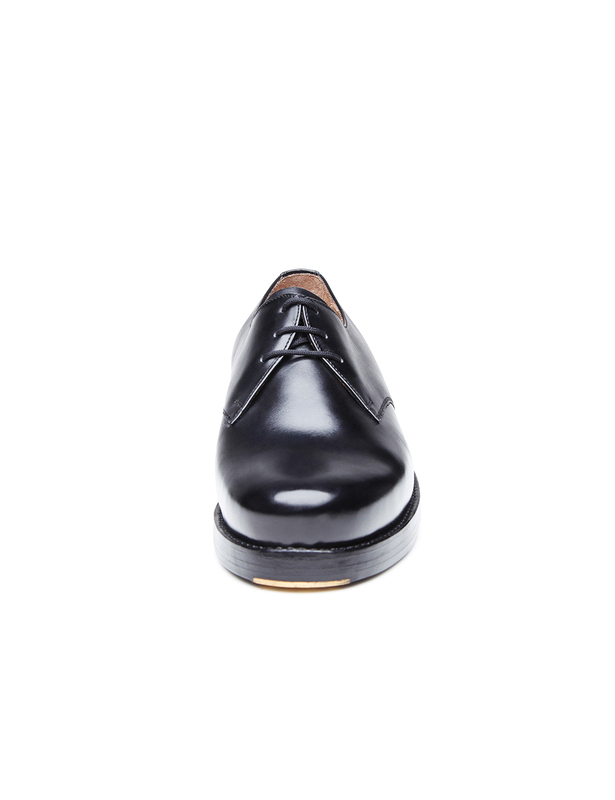 Furthermore, the smooth box calf, a glazed and aniline-dyed calf leather, guarantees a very refined surface texture and is virtually predestined for elegant men’s shoes.